I remember December 17, 1981 like it was yesterday. It was at 5:30 a.m. on a Thursday morning, 25 years ago, that my phone rang as I groggily slept in the half-conscious state of daybreak. I could hear a frantic voice screeching through the speaker on my answering machine. The voice—hysterical and emotional—is forever ingrained in my head. It was my mom calling to tell me that my dad had just died. Unexpectedly, he had passed away early that morning. I drove from Weymouth to Randolph in eight minutes, averaging over 80 mph on side roads and shortcuts. I had to go home to comfort my mother and find out just what had happened. This all came back to me last week as I went to see my dad at his final resting place in Sharon Memorial Park. We still don’t know why God took him so young and before his time. Autopsies only tell a part of the story. Twenty-five years--a quarter century—had flown by with the quickness of a blink of an eye, the intensity of a heartbeat. As I visited my dad, I tried to fill him in on what he had missed the past twenty-five years. Where do you start? I told him about the two weddings and bat mitzvahs he had missed. He loved children so much. He’s have spoiled rotten his five grandchildren, none who ever got to meet their grandpa. 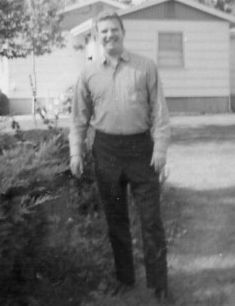 My father Daniel was an athlete, a Marine Corps drill instructor and boxer. He was a Korean War hero, whose shining face was on the Herald American front page around 1957. He would be so delighted with his grandchildren. First, there was beautiful blonde Darah, named after her grandfather. Then, All Star basketball and softball player Amie; followed closely by his namesake Dan—also a three sport athlete. Finally, there was Michael, the resident thespian, and Leesa, the gymnast. All five are adorable, intelligent and healthy kids. My sister Wendy and I were blessed. After he was brought up to date on the family, it was time to fill him in on the rest of the world he had missed. My father was a diehard Red Sox fan. He was a front row box seat ticket holder even in the darkest days of the franchise. Now, we sit in his seats (they’ve been pushed back to the third row, due to new construction)—seats that were $15 back then, and are now $105 each. I told him the Red Sox had won a World Series. I could practically hear him laughing at the thought. I repeated it often so even I believed it: Dad, the Red Sox were World Champions! I actually saw the final toss to first and the massive celebration. Millions took to the streets, and a young lady died tragically in the melee. In the early 1970’s, while attending Curry College, I was an activist against the Vietnam War. 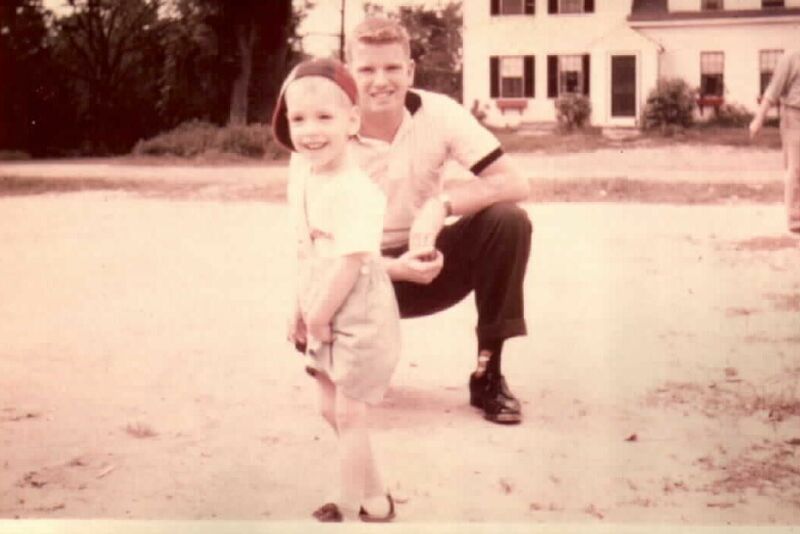 My father was a defender of Richard Nixon, the War, and America. He told me that speaking out against the war was a slap in the face to our brave soldiers. As I sat adjacent to his Marine Corps-emblem filled plaque at Mount Of Olives, I thought to the present day and the activism against the Iraq War. I know where my father would have stood—right by the President. I also know what his response would have been after September 11, 2001. He’d have wanted to re-up in the Marines and blast away a few terrorists. He was a macho kind of guy, blonde, ruggedly handsome, and covered with tattoos on both arms—compliments of his pals in the Marines. But he had a sensitive side, too. A year before he died, he called me one night to ask how I was. It was December 8, 1980. He wanted to know if I was depressed, and wanted to comfort me. He knew that the death of John Lennon—I lived by the music of the Beatles—would be distressing, and asked if he could do anything to cheer me up. A Chinese food dinner in Randolph did the trick. His emotional depth at that moment is something I remember clearly today, hundreds of Chinese food dinners later. We spoke of so many things. Well, at least I did. I assume he was listening. We talked about what happened to Nixon, about President Clinton and his extracurricular activities in the White House. My dad respected the office of the President, but probably would not have liked that behavior. He was a Democrat, but he respected all who held office. Of course, he held office as well. When he died, he was a town meeting and youth commission member in Randolph. I told him of the Columbia and Challenger disasters. Reagan’s tough presidential rein that helped bring down Communism and the Berlin Wall. (I could hear him saying, “You mean that actor with the chimp?”) We spoke of little John-John’s death. My dad was fond of JFK’s kids, John-John and Caroline. He also thought that Jackie O brought a lot of class to the White House, and would be saddened to learn of her death. The San Francisco earthquake (which disrupted a World Series), The O.J. Simpson trial, the successful removal of the apartheid government in South Africa under Nelson Mandela, so many things. After I left, I thought of dozens more. He was friendly with a local State Rep. From Holbrook, named Andy Card. When I told him that Andy had been Chief of Staff for President Bush—and was the one who whispered in his ears in a schoolroom about the planes crashing into the World Trade Center on September 11—he’d have been amazed. So close to power, and from tiny little Holbrook! But the biggest change would have to be computers, and the game systems kids play today. In 1978, I won the New England “Pong” title at Hanover Mall. I remember my dad watching the Pong game bring played and amazed at my ability to excel in “something that really didn’t amount to a hill of beans.” Video games? Preposterous and a big waste of time in his mind, that’s for sure. His opinion only changed when he saw the $500 mall gift certificate I got for winning. Now, I told him that people camped out to spend $600 on a game system, and someone was killed waiting in line. I could picture the look of amazement, and probably disappointment. In his world, kids went outside and organized baseball and football games, and played until it got dark. Years ago, we all watched the Jetsons on TV, as a family. Their modern kitchen, where you push a button and a meal pops up, was a fore-bearer to microwaves and “smart homes.” My father Daniel missed science fiction turned to reality. Now, computers do everything from accounting to surgery. No one back then could have even imagined their power. I remember our huge console TV. The thing must have weighed 800 pounds, and was the first color set in our neighborhood. Kids gathered around to watch. Now with 50” plasma screens everywhere---and lightweight yet—he’d have been floored. Twenty-five years. Doesn’t seem like a whole lot of time in the scheme of the world. But, for my dad, and others who passed before their time, it’s like all of you reading this column blinking, and landing in the year 2031. Have a happy and healthy new year, and appreciate each day. in the past year alone! !